TA-1VP Vocal Processor, Vocal Processor from Tascam. 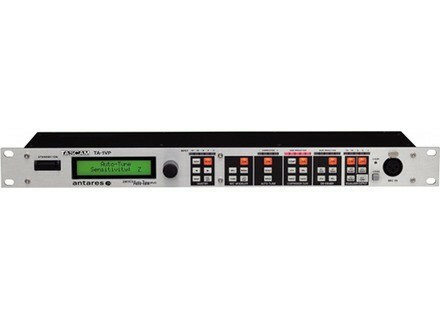 Tascam and Antares Audio Technologies have collaborated to create the TA-1VP Vocal Processor, a single-rackspace processor for live performance, house of worship or studio use. The TA-1VP uses the new Evo version of Antares’ Auto-Tune processing for real-time pitch correction and doubling of the input vocal. Antares’ TEC Microphone and Tube Modeling is also included. The Tascam TA-1VP includes both a microphone input and line input. Compression, gating, de-essing and equalization are available for the input signal. The front-panel interface is covered with dedicated, illuminated buttons and meters to show what the unit is doing. Factory presets and user memory slots recall the ideal settings for your vocal style, and real-time MIDI control is also provided. [NAMM] sE Electronics The Egg sE Electronics unveils a new set of high-end studio monitors: the Egg. [NAMM] Rane MP25 Club Mixer The Rane MP25 mixer comes in a 19˝ rack format, with a 4U design. It's the same height as a classic Rane MM 8z, MP 24 or MP 22 series Mixer. [NAMM] Audix BOOM-CG The Audix BOOM-CG is a boom arm that attaches to the CabGrabber or CabGrabber-XL making virtually any miking position possible, according to Audix.